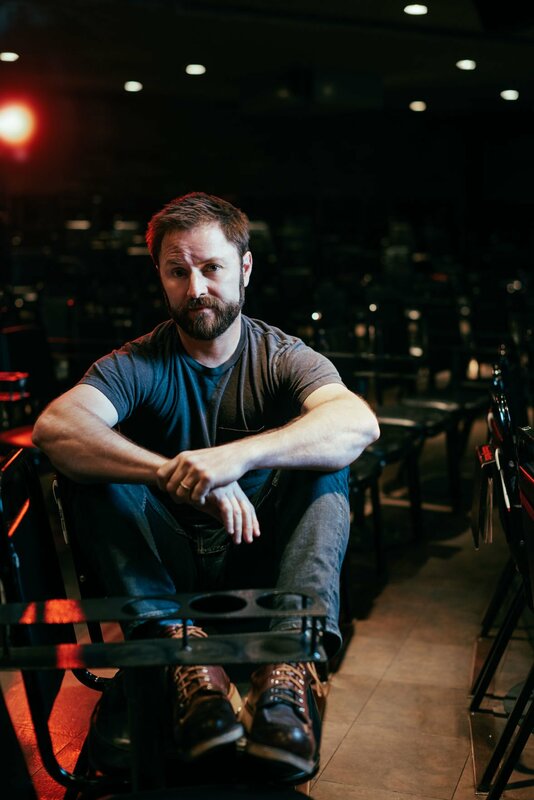 Denver-based comedian Adam Cayton-Holland, creator and co-star of "Those Who Can't" on TruTV, will perform stand-up at The Side Door in Colorado Springs on Feb. 16, 2019. Denver-based comedian Adam Cayton-Holland, creator and co-star of “Those Who Can’t” on TruTV, brings his stand-up act to Colorado Springs. This guy stays busy. He and wife Katie have a 3-month-old son. The multitalented Cayton-Holland, 38, has been performing stand-up comedy for 15 years and still loves it. He will bring his act to The Side Door on Saturday, with Denver comedian Geoff Tice and Pueblo-based John Bueno kicking things off. With opening acts comics Geoff Tice and John Bueno, 8:30 p.m. (doors 7:30 p.m.) Saturday, Feb. 16, The Side Door, 1645 S. Tejon St. Ages 18+. Tickets: $13, sidedoormusic.com. Cayton-Holland said his jokes depend on what he’s going through at the moment. ”I write about my kiddo right now. And I’m a birdwatcher. I’m kind of known as the birding comedian,” he said. Cayton-Holland is not joking, there. He has headlined Colorado Audubon Society events. ”I think that you need to be thoughtful if you’re going to do incendiary topics. You have to ask yourself why you’re telling this joke,” Cayton-Holland said. ”Those Who Can’t” is set at the fictional Smoot High School in Denver. Cayton-Holland plays Spanish teacher and self-proclaimed “bon vivant” Loren Payton, who’s always getting into silly scrapes with his fellow teachers/buddies Orvedahl and Roy. He has managed to stay humble despite his sitcom’s success. ”We’re just sh-- — comics who teach. Lots of famous comics have gotten involved, like Patton Oswalt. It’s really a DIY success story that launched off of our web show. TruTV resurrected it, and it’s been a very cool Colorado story. Certainly Denver and the state at large has gotten behind it,” he said. The show films in Los Angeles, but Cayton-Holland prefers to keep Denver his home base. The Colorado Springs show will be a chance to experience Cayton-Holland’s down-to-earth humor up close and personal for about an hour. He encourages you to come. ”Tell people if they don’t come, my adorable little baby will go hungry,” he joked.